Our parents said breakfast was the most important meal of the day. Their parents told them the same thing. The message has been passed down for generations – and yet, about 30 million of us still skip breakfast every day. 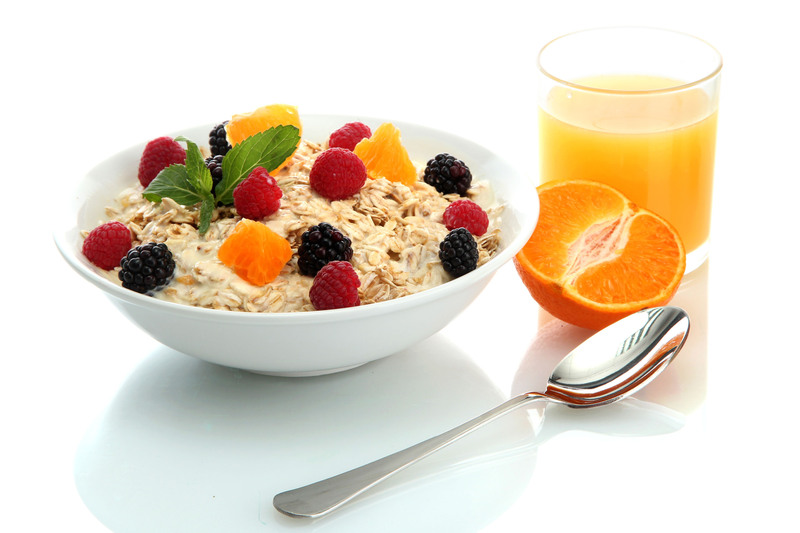 Study after study show that a healthy breakfast boosts brainpower, curbs hunger, increases energy and decreases weight. The first tip for a healthy breakfast is to actually eat breakfast. Once you’ve committed to making time in your morning routine, your next step is choosing the right foods. Experts agree that you should aim for a breakfast that combines good carbs and fiber with protein. Try oatmeal. Oats have beta-glucan, a form of fiber that may lower cholesterol when eaten regularly. Oats are also rich in potassium and omega-3 fatty acids, which research shows reduce inflammation and may help lower risk of chronic diseases such as cancer, arthritis and heart disease. Incorporate whole grains, fruit and eggs. The Alliance for a Healthier Generation says these will keep your body satisfied throughout the morning and your metabolism steady. Eggs have made a major comeback in recent years. Once shunned for being high in dietary cholesterol, but they’re now embraced as a healthy source of protein and nutrients like Vitamin D.
Cut the bad stuff. The U.S. Department of Health and Human Services advises limiting sodium, added sugars, trans fats, saturated fats and refined grains, which translates to avoiding foods like donuts, cinnamon rolls, muffins, syrup and sugar cereals. If you can already hear your kids protesting, consider this: Missing breakfast can make children hungry and tired, and lead to snacking on junk food later in the day. Research also shows that kids who eat a healthy breakfast miss less school and do better on tests. So set a positive example for kids! Commit to eating a healthy breakfast every day and finding time to incorporate breakfast into your family routine. It’s never too late listen to your parents’ advice.